Goods and Services Tax (GST) is a tax imposed on services and goods that are sold for domestic use. For imports, in addition to the custom duty, the IGST is also levied. GST is a value-added tax or VAT that consumers of the services and products pay, however, the government receives it from the businesses selling these services and products. Lok Sabha originally gave the go-ahead to the GST bill on 6th May, 2015, but the tax regime actually came into existence after 1st July, 2017. Before the rollout of GST, India had multiple layers of value-added taxes (VAT). After this new structure of GST in India, a unified indirect tax has been imposed correctly for both states and centre. That is why the GST motto was One Nation, One Tax. Now, the GST amount is added to the product or service by the businesses selling these, and it is then paid to the Indian government by businesses. Every product or service has been put in a specific tax slab and the GST is charged accordingly. How can GST Help SMEs and MSMEs? 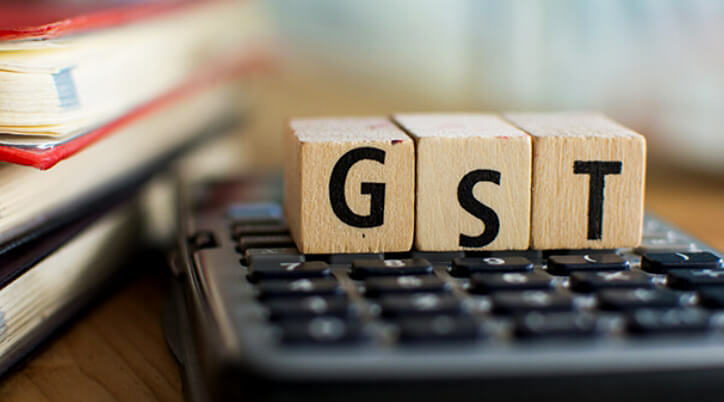 Although GST attracted a lot of resistance from all over India, the structure of GST in India has simplified the tax for small and medium enterprises. Today, it is easier than before to start a business as a different tax for different states has been unified, the tax burden has been reduced for small businesses, and it is easier to maintain tax compliance. Earlier, VAT registration was compulsory if a business reaches INR 5 lakh turnover or INR 10 lakh turnover in some states. However, after the new structure of GST in India, this exemption is increased to INR 20 lakh, which has decreased the burden of approximately 50-60% small businesses. Every state had different compliance regulations and rules for VAT registration. It was difficult for businesses operating in more than one state since the tax compliance was to be followed separately for every state. But, GST has made this simpler with unified tax for states and centre. Every interstate sales or manufacture of products required entry tax. With GST, this entry tax is removed, and goods sold and manufactured anywhere in India are delivered without passing through various taxes or check posts. This has reduced the delivery time of products. GST has removed the difference between services and goods, which has made packaged products’ proceeding hassle-free. It has also decreased tax evasion greatly. Overall, GST implementation has unified the market by removing different state taxes, allowing free transport of goods and products across India, and in all, decreasing the business cost to a significant amount. What Probable Challenges SMEs And MSMEs Can Face? MSMEs and SMEs do enjoy a big deal of benefits after GST rollout, but there are many complications and challenges as well. GST has neutralized the distinction between luxury and non-luxury goods and services. Everything, luxury and non-luxury, comes under a similar tax, which is a challenge for SMEs and MSMEs fighting against established businesses. Many businesses directly supply services and products to end users. They cannot claim input tax credit because GST is applicable to services and products, which will also lead to higher product cost for B2C businesses. The unified ideology loophole of GST is revealed by the fact that it is not applicable to petroleum and alcohol products. Compliance rules for GST are very stringent, as the businesses have to file GST returns on a monthly basis rather than a quarterly basis. If any business is working in two or more states, they have to file a separate return for each state. Also, this process needs to be carried out online, which will add on cost for updating relevant IT infrastructure and hiring a dedicated person to manage GST. It is a common practice amongst small businesses to acquire products and goods on sales or return basis. This means that once the season is over, the unsold goods are sent back. However, with GST, if the sale is not approved in the 6-month time period, the goods are considered supplied. If your business is liable to pay GST, here’s your checklist for GST registration. Visit the link, sign up using Facebook/Google, and download your GST Registration Document Checklist by deAsra. Collect all these documents before proceeding ahead with registration. Even after almost one year of GST rollout, it is a long way from showing a positive outcome. However, it was always obvious that GST will increase compliance issues and difficulties for MSMEs and everyone else in initial phases. Small and medium scale enterprises will be able to avail the benefits of GST in the long run as they adjust to its structure and compliance regulations.